One of the few buildings I’ve seen with not only windows at the front of the rostrum, but asymmetrical windows. And the glazing isn’t frosted. It really provides a nice connection with the outside surroundings. This entry was posted on June 15, 2011 by lds architecture. 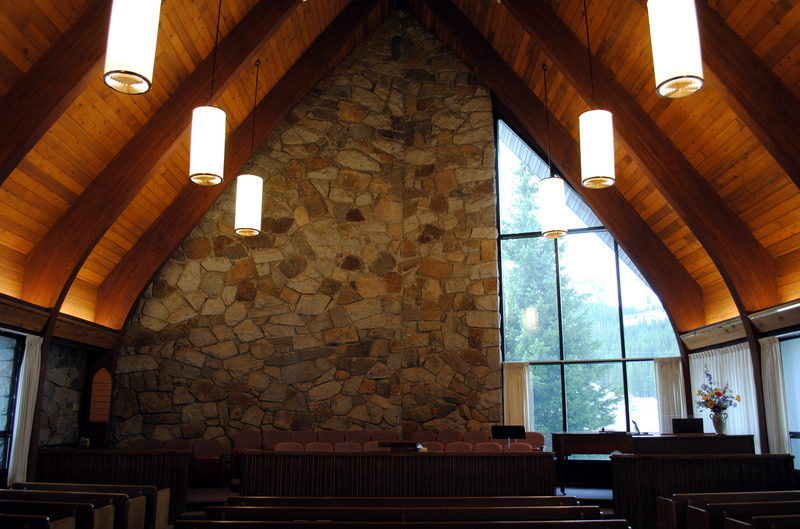 It was filed under Baird Young and Jones, Brighton Branch, Chapel Interiors, Meetinghouses, United States . Excellent work…it is heartening to see beautiful buildings like this…stunning. I will try and send some photos of chapels here in New Zealand for you to look at as well. Thanks Brett, I would welcome any photos. I’ll send you my email address. Interesting. I thought most of the buildings had been remodeled to look the same. This picture definitely disproves that thought.